Tiger Maple is a type of Maple plywood. The name refers to the pattern created due to the growth of grain and wood fibers. Also known commonly as “Flame Maple”, this type of plywood features wavy, flame-like lines that could also resemble tiger stripes. It is usually a brown or orange color, although variations do occur. Lastly, the stripes will be a darker shade of whatever color the rest of the wood piece is. Furthermore, the Tiger Maple is not any one specific type of tree. This pattern occurs randomly in several different species of Maple trees and is often unnoticeable until the tree is cut. Although, some trees have also shown a ripple pattern in their bark. Tiger Maple is also a type of hardwood that can be very durable, although the curly, wavy grain can make it a bit more unsteady than plywood that it straight grained. Overall, though, this plywood is strong and a favorite for many. Tiger Maple plywood is a prized one for usage in numerous projects more so for its look than its durability. One very common use of this plywood is making musical instruments, such as violins or bassoons. 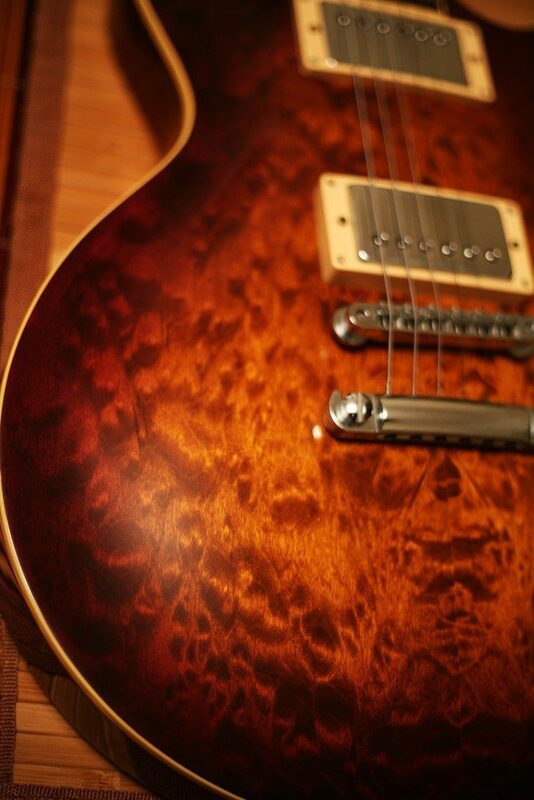 In fact, the famous Gibson guitar company began manufacturing in the late 1950’s using this type of wood. This plywood is also a common choice for customized furniture. People use Tiger Maple plywood to make tables, chairs, and more. Because Tiger Maple has wavy grain versus straight grain like many other woods, it does tend to be less stable. It is important to note that while this is commonly used in furniture and instruments, among other things, it is not meant to take a whole lot of abuse. Furthermore, unfortunately, Tiger Maple can be sort of tricky to finish. While usually it finishes quite nicely; Gibson used “cherry-red sunburst” finish on their original guitars, it does not always work out so well. Finishing is especially tricky when staining the wood. Pre-stain conditioners can help to offset spotty patches. Also, any type of Maple, but especially Tiger Maple (again, because of instability), is susceptible to environmental influence. For instance, Maple wood has been known to shrink over time. 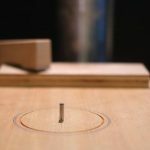 However, as long as the person working with the Tiger Maple plywood is careful not to damage it or expose it to greatly varying temperatures, the plywood should be just fine. Maple trees usually grow throughout Asia, but are also present in several places in Europe, northern Africa, and North America. Again, Tiger Maple does not come from any specific species of Maple tree. Therefore, Tiger Maple could be gathered from any of these places where Maple trees grow. Wherever it can be found and/or shipped to, Tiger Maple is available in hardware stores. Some may also be able, depending on their location, to purchase directly from the grower or manufactorer. However, it should also be noted that this type of plywood can vary greatly in grades. Higher grades will have a higher price than lower grades and vice versa.